Obama Gets Conservative Republican's Support On Libya Action : It's All Politics Rep. Duncan Hunter, a conservative Republican from the San Diego area gave President Obama important political cover on his Libya policy, saying the president was right constitutionally, strategically and tactically in acting when and how he did. 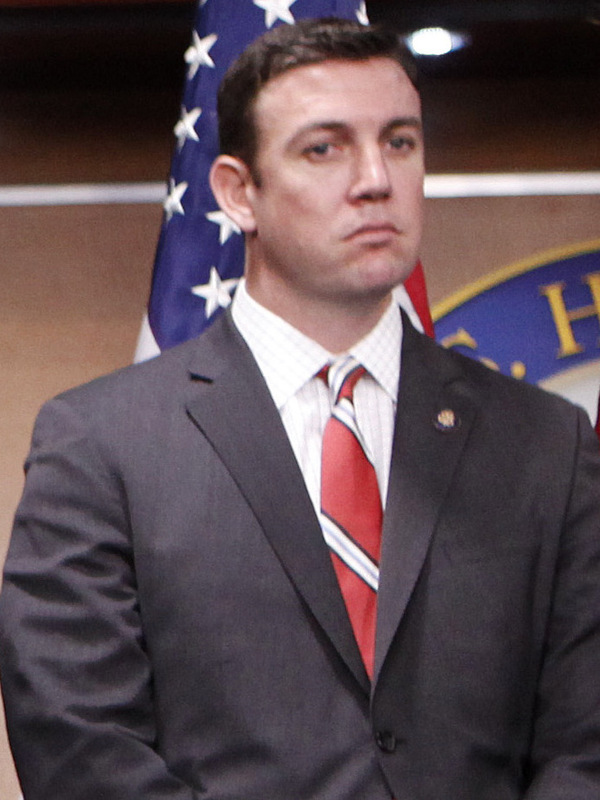 As he heads into Monday night's nationally televised speech on Libya, President Obama has picked up political cover from an interesting and unexpected source, Rep. Duncan D. Hunter, a conservative Republican and Marine combat veteran who served in Iraq. Duncan, who represents the San Diego area, wrote an op-ed published in the San Diego Union-Tribune, in which he said Obama acted appropriately as commander-in-chief in committing U.S. forces to the international military effort meant to keep strongman Moammar Gadhafi's military from wiping out rebel forces and brutalizing civilians. The president and his administration were confronted with a tough choice. Either avoid the fight altogether and watch a humanitarian crisis unfold, or stand with the international community to protect others and assist rebel elements that are outnumbered and outmatched. In this case, President Barack Obama made a decision that is consistent with his role as commander-in-chief – in fact, a judgment that conformed to calls from lawmakers on both sides of the aisle. Part of the criticism against the administration is that Congress was never properly notified nor was the Libya operation put to a vote. Such a critique is seemingly based more on feelings of frustration because of the administration's previous dealings with Congress and the public than whether it is an unlawful or perhaps even intentional oversight. The War Powers Resolution provides the president with the authority to conduct limited operations absent a declaration of war or use of force resolution from Congress. The reason for this authority is simple. Imagine for a second that a president is confronted with a situation requiring limited military involvement but, rather than having the ability to act quickly, an open consultation process with Congress must first occur. Under that scenario, the element of surprise is lost while strategic intent and operational planning are broadcast worldwide, risking the mission at hand, combat resources and the lives of America's military men and women. The Hill's Russell Berman interviewed Hunter after who told the reporter that some critics were "politicizing" the issue. And he made the point that a military intervention ordered by a president doesn't always have to conform to a rigid foreign policy template. Sometimes, there are what the British refer to as one-offs. "I don't think that every time we interject ourselves into the slaughter of innocents like we are here that we have to match that to a consistent foreign policy or a consistent end-state like a lot of the president's detractors are saying right now," he said. "This is a situation that's different from every other situation. It's got its own nuances to it, and I think it's one where the president made the right decision," Hunter said. Hunter's position is striking, given how partisan Capitol Hill is. He apparently has little fear of a primary challenge for the seat he holds which was previously held by his father. The congressman gives the president and other White House officials another talking point from a lawmaker whose military and conservative credentials make it hard to discredit him.